Delhi Capitals team 2019 ticket booking details are placed here. 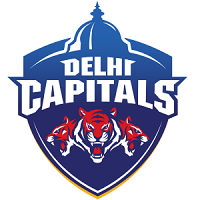 The Delhi Daredevils have had a change in brand and that includes a change in their team-name as well, as they are now called the Delhi Capitals for the 2019 IPL. The Delhi Capitals, or the Daredevils, have had a poor few seasons in the IPL but with a new-look side and a change in management, there could be a big change in the way things go for them. And if you are looking to book the Delhi Capital tickets for the 2019 edition of the Indian Premier League, we have you covered below. IPL tickets Delhi 2019 booking online will be made available on Insider.in this year as well. You can also buy Delhi Capitals match tickets at the box office and select Delhi metro stations and 24seven retail outlets (details in the above link). If you are unable to book your IPL 2019 tickets in advance, then you can also pick them up from the stadium box office on match days. This year, the starting IPL ticket price in Delhi for the online tickets is Rs 750 going up to Rs 14500. The Delhi Capitals have not been much of a threat in the Indian Premier League. They had a disappointing experience in the 10th edition of the IPL and then fell away in the 11th season as well, registering defeat after defeat before ending eighth in the table. For this season of the IPL, the Capital is a side to watch out. They are expected to be led by Shreyas Iyer, and will welcome Shikhar Dhawan back to the line-up, having made the switch from the Sunrisers Hyderabad. Prithvi Shaw and Colin Munro will add the needed batting firepower at the top while Rishabh Pant will remain the batsman to watch out. Among bowlers, Ishant Sharma returns to the IPL, with Kagiso Rabada and Avesh Khan in tow while the spin bowling options include Sandeep Lamichanne and Rahul Tewatia. Axar Patel and Chris Morris will add to the all-round duties. One thing that we all can be rest assured of, is that no matter how things pan out, fans will still flock to the stadium. Watching them play in their home ground at the Feroz Shah Kotla in New Delhi is a wonderful experience. Fans from all around the country will look to follow and support their side by going for matches that they play at home as well as away. They will be looking forward to a more sustained challenge in their quest to win their maiden IPL crown. Most of the big matches are sold out well in advance especially against teams like Royal Challengers Bangalore and Mumbai Indians. Watch this space for more updates, as we bring you the latest on the ticketing front. Rush and purchase your set of match tickets for all their home games and away games. With the many exciting Indian cricketers and addition of new DC players, getting tickets as early as possible will be a smart thing to do. Do you think Delhi can step up to the challenge this season? They have never made it to any final. They just need to formulate a strategy and work on that. Back them to go all the way this time around by being there at the stadium when the team needs the backing the most. At least in the initial IPL, they cruised to the semifinals as leaders. That should be their first aim this IPL 12 and they have to quickly make winning a habit. Buy IPL DC Tickets 2019 Online using the link above.